Have you ever dreamt about jumping from the brink? 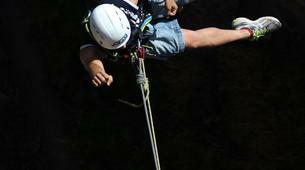 Do you want to live an extreme experience, but haven't decided which one to go for yet? 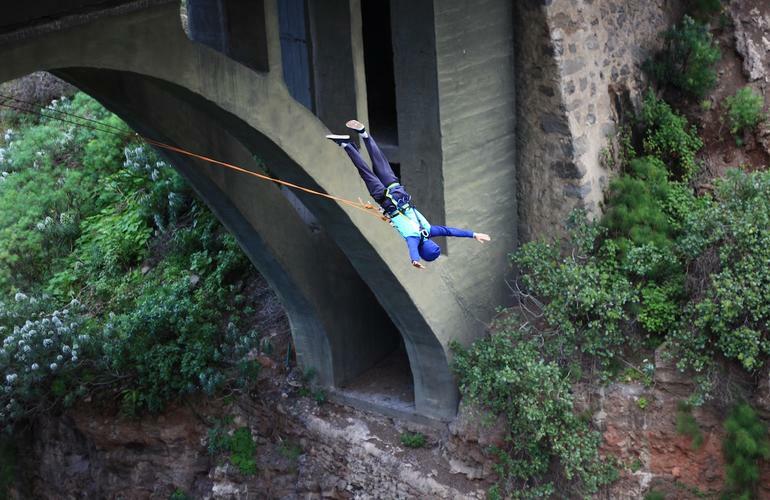 Why not start with jumping from a bridge and daring yourself to step into the void - don't worry you'll be safe in the hands of Climbo's best experts. The only thing that's guaranteed is that you'll want to do it again and again! 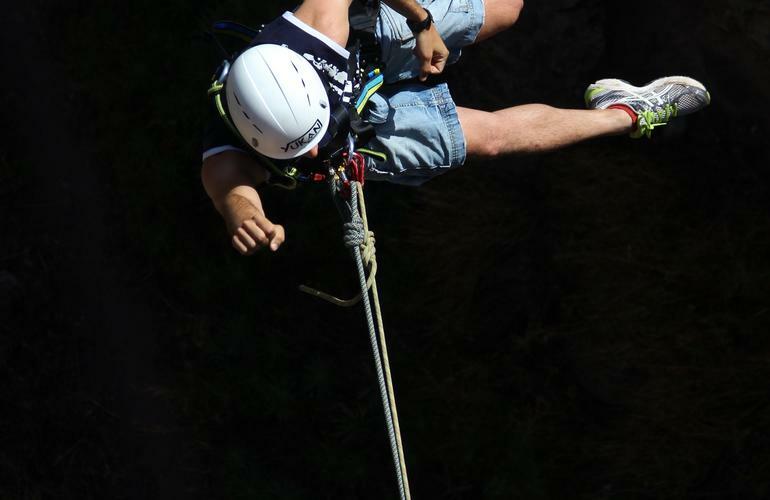 Rope swinging is an activity everyone must try at least once in lifetime. Why? For its thrilling sensations and overwhelming emotions. 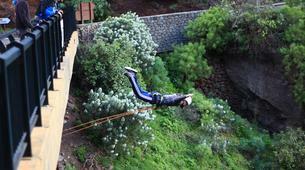 Feel yourself overcome your limits and boost your adrenaline, while you feel the fall and enjoy the swing. 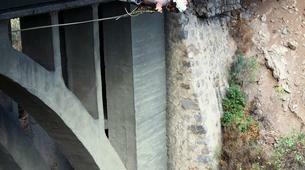 The rope swing will be performed from La Calzada Bridge, which is 26 metres high. 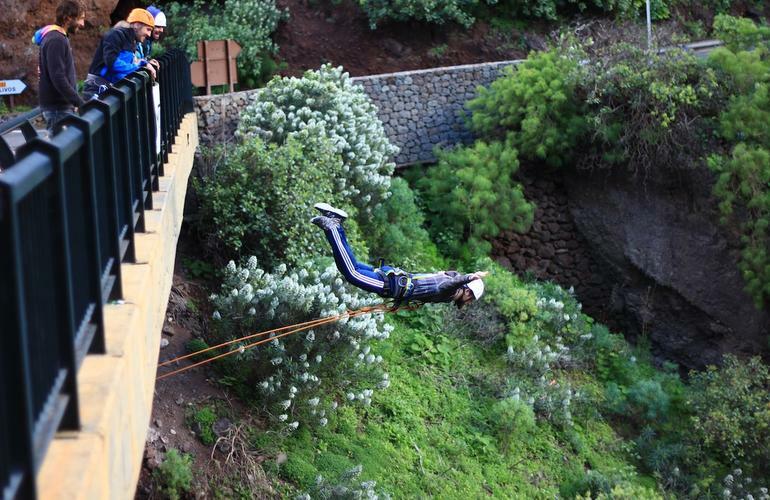 12 years after its renovation and remodelling, La Calzada Bridge has become the reference of bungee jumping in the Canary Islands. 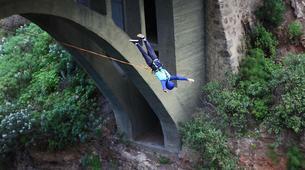 Due to its unique location in the ravine and the width of the road, rope swinging has never before been such a radical experience! - 1 to 2 people: €148 pp. 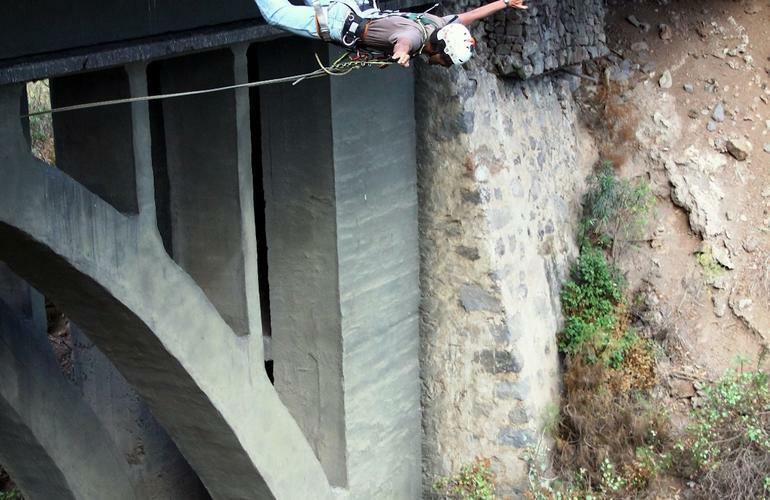 - Then you'll make your way to La Calzada Bridge, where you'll be able to JUMP! - Extra jump: €15 pp. It was a wild experience.